Here in Singapore, there are people who suffer from paralysis – either partial or complete. Paralysis has this negative connotation for the patients that is why some do not wish to recover at all. It is best to refer them as patients who are physically challenged. 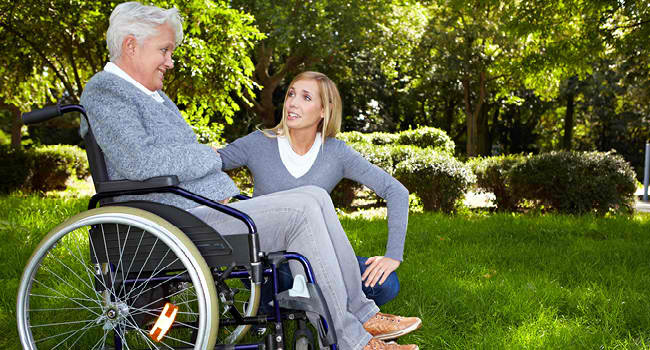 If your loved one is living with a degree of paralysis, it is best that you know how to care for them. But before knowing how to care for them, it is important that you know everything about it. Paralysis can be partial or complete. When you hear partial, it usually refers to a degree that affects one side of the body. Complete refer to paralysis that affect both sides of the body. It can also be paraplegia (affects lower half of the body) and quadriplegia (affects legs or arms). Most of the time, the paralysis is caused by spinal injuries or strokes. The care will greatly vary on the nature and cause of the paralysis. Regardless, caregivers should be patient in learning ways to make the patient’s life easier and more meaningful. At first, it will shock the patients. You have to make adjustments and expect that the patients will go through series of stages from grieving, in denial, bargaining, depression and many more. The physicians should give you some ideas about paralysis so you will know what to expect and what to do. Patients affected can experience different secondary conditions from blood clots, bed sores, low blood pressure, bowel infections and many more. It is best to be vigilant for signs of secondary conditions but the general rule is to change the position of the patient at least every 2 hours. This is to prevent spread of bed sores. If left untreated, bed sores can be serious. Do not forget to establish an exercise routine. Depression is normal especially if you just found out your life changed. As caregiver, it is always good to pay attention or be keen when it comes to the emotional wellbeing of the patient. Always look for red flags to include mood changes, oversleeping, weight loss or gain, loss of interests, negative thoughts and the like. The first thing that you should do is to talk about it with your loved ones. It is crucial that you let him/her know that whatever the hurdles are, you are there to help, support and continue to love. Bring him/her to support groups if there is a need.